Six weeks after we noted that Australian housing regulators were warned to prepare "contingency plans for a severe collapse in the housing market" that could lead to a "crisis situation," CoreLogic reports that Melbourne housing prices have fallen at their fastest quarterly pace on record, according to Australia's News.com.au. 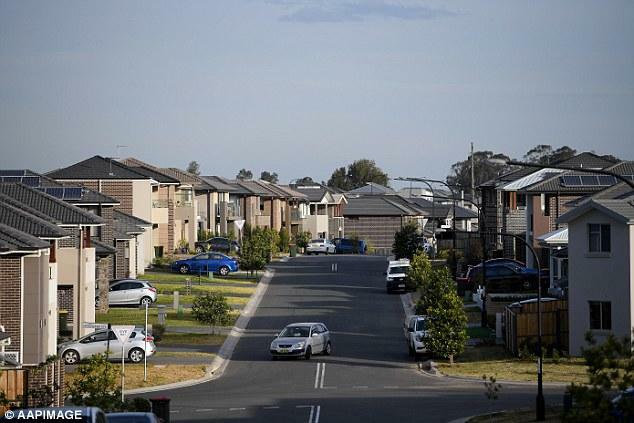 Prices in Sydney and Melbourne fell 1.3% and 1.6% respectively in January, "bringing their rolling quarterly falls to 4.5 per cent and 4 per cent," according to the report. From their respective peaks in July and November 2017, Sydney housing prices are down 12.3% , while Melbourne has seen a drop of 8.7% - as values drop to levels last seen between late 2016 and early 2017. "If you had asked me in September last year I probably would have been surprised to see Sydney and Melbourne values down more than 4 per cent over the rolling quarter," said Tim Lawless, head of research at CoreLogic. "We have seen the downturn accelerate over the last three months. At 4 per cent down in Melbourne that’s the fastest rate of decline we’ve ever seen of any rolling three-month period, and Sydney is virtually (the fastest outside) a really brief period in the ‘80s." The decline in Sydney is now the worst since CoreLogic began collecting records in 1980 - surpassing the previous record of 9.6 perdcent seen between 1989 and 1991. Melbourne experienced a drop of 10% over the same period. "Sydney clearly is in new territory," said Lawless. "I think we can firmly point towards tighter credit and lending conditions throwing a dampener over the market." That said, given the relatively robust economic conditions, Lawless considers the drop to in Sydney and Melbourne be a "consolidation," while also forecasting total declines in the two cities of 18% - 20% (after prices rose nearly 80% and 60% respectively). "Most homeowners would still have a great deal of equity in their properties," said Lawless. "It’s really just those owners that have bought in the last couple of years that are facing the prospect of negative equity." 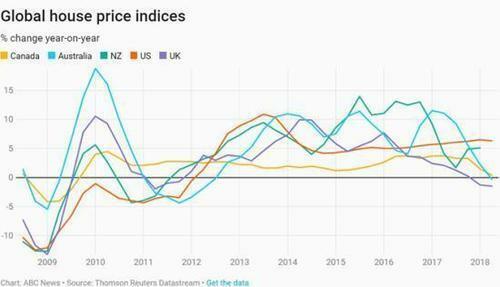 While Lawless has characterized the drop as a consolidation, others foresee continued difficulty in the Australian housing market. AMP Capital chief economist Dr. Shane Oliver predicted an average peak-to-trough price drop of 10-15%, while revising his forecast for Sydney and Melbourne down from a drop of 20% to 25%. "A crash landing — say a national average price fall in excess of 20 per cent — remains unlikely in the absence of much higher interest rates or unemployment, but it’s a significant risk given the difficulty in gauging how severe the tightening in bank lending standards in the face of the royal commission will get and how investors will respond as their capital growth expectations collapse at a time when net rental yields are around 1-2 per cent." At the end of January, the median home value in Sydney was $795,509, and $636,048 in Melbourne. Every capital city experienced declines aside from Canberra, which saw values gain 0.2%. Leading the declines were the most expensive end of the market. 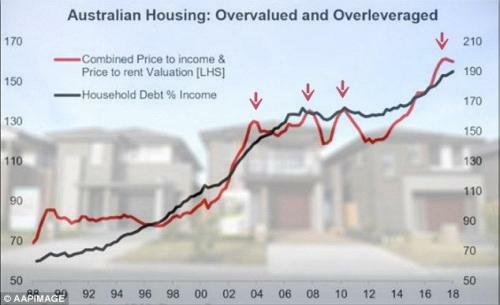 Meanwhile, Australia's debt-to-income ratio has ballooned to shocking levels over the past three decades as Sydney is ranked as one of the most overvalued cities in the world. According to the Daily Mail Australia last August, credit card bills, home mortgages, and personal loans now account for 189 percent of an average Australian household income, compared with just 60 percent in 1988, as Callus Thomas, Head of Research of Topdown Charts, demonstrates that record high household debt is a ticking time bomb.